We are Jake Lent, vocals, guitar and Ed Mezick, harmonica, vocals and percussion. 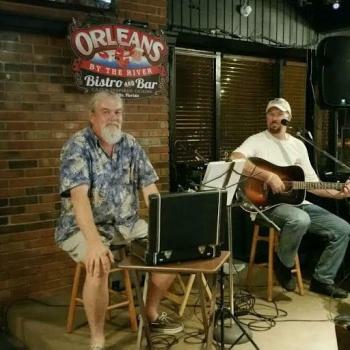 We have been playing at the River City Bar and Grill, Time Out, Mims Moose Lodge, Orleans, Cracker Jacks, VFW, Elks and the Titusville Street Parties. Available for bars/restaurants, private parties, weddings ...wherever ! !